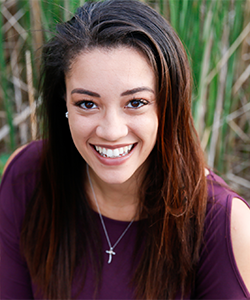 Born a competitor, and raised in a biracial family of athletes, Ashley Thomas excelled at every level of life and sports. But as a senior at the University of Wisconsin – Madison when her final game was over, her competitive spirit hit a wall. In some sense the athlete died but her true being was born. Each vocational opportunity after college, whether as an intern for Elmbrook Church developing an inner city high school college and career center, or in her various roles at Hope Street, she learned first hand that hard work, along with failure, breeds humility. Humility is what sets apart great leaders from good ones. At the age of 26 she was hired to be the Executive Director of Hope Street and now pursues authentic, measurable community development. Ashley has found home and community at Hope Street. She makes it her mission to invite others to do the same, while understanding a safe, hope filled community is possible no matter where you find yourself. Ashley has a BA in Sociology and is currently working on her Masters in Theological Studies at Trinity Evangelical Divinity school with an intended graduation date of Winter 2019. As a non-profit leader her position requires constant communication through storytelling, grants and newsletters to foundations, churches, organizations and individuals. Ashley was recently featured on the cover of Just Between Us magazine. In addition she has been featured in local papers, local news broadcasts and special episodes on PBS and TBN. Ashley is a passionate, thoughtful and engaging speaker, leader and friend.